Successfully Added Handheld Metal Detector - LED Light, Sound Alarm, Highly Sensitive, Meets EMC Radiation Standard, 9V Battery to your Shopping Cart. This handheld metal detector is a perfect gizmo to increase the security levels at parties and social gatherings. With its lightweight and compact design, this security metal detector can be conveniently used by security guards and police officers. The metal detector itself is highly sensitive and is capable of detecting any type of metal. By featuring an instant alarm, this metal detector will inform you immediately whenever a hidden object is detected. Therefore, you can be guaranteed that not a single piece of metal will pass by your security unnoticed. Your handheld metal detector is powered by a regular 9V battery (not included). This battery treats you to enough juice to get you through the longest of working days. With its LED alert light indicator, you can always be assured that your metal detector is working properly. This security gadget meets the EMC radiation standard. Thanks to this, it can be safely used on people with a pacemaker or on pregnant women. 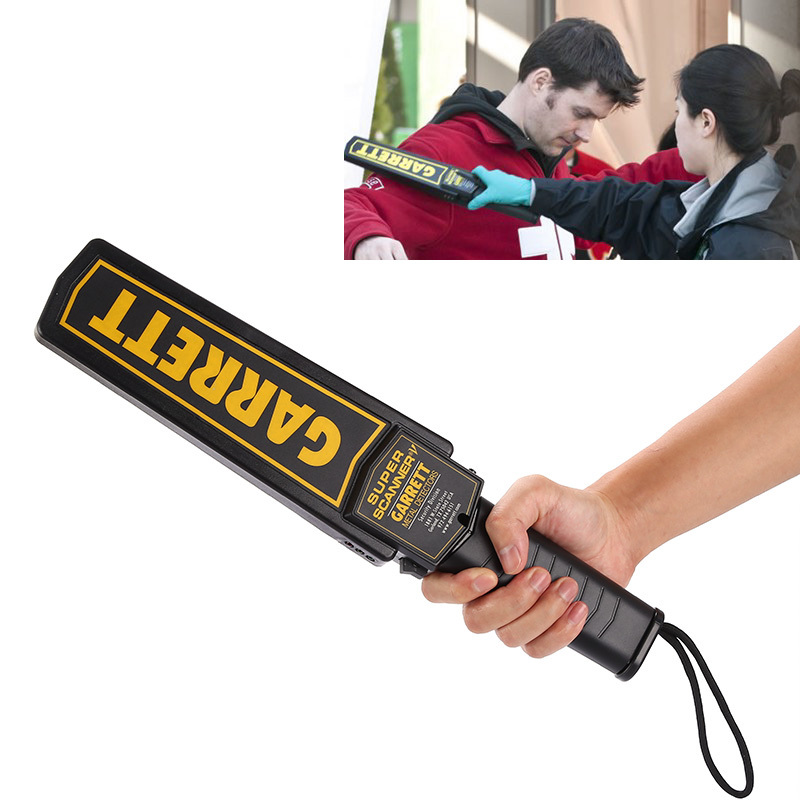 If you’re looking for a cheap, safe, and effective way to increase the security in your bar, nightclub, or festival – this handheld metal detector is perfect for you. This Handheld Metal Detector comes with a 12 months warranty, brought to you by the leader in electronic devices as well as wholesale electronic gadgets.. Detection range is dependent upon the size and conductivity of the metal object. The larger the object is the greater the detection distance. Arabic - للكشف عن المعادن; Chinese Simplified - 金属探测器; Czech - Detektor kovů; Danish - Metaldetektor; Dutch - Metaal detector; French - Détecteur de métaux; German - Metall-Detektor; Greek - Ανιχνευτής μετάλλων; Hebrew - גלאי מתכת; Hindi - मेटल डिटेक्टर; Hungarian - Fém detektor; Italian - Metal detector; Japanese - 金属探知機; Korean - 금속 탐지기; Norwegian - Metalldetektor; Polish - Wykrywacz metali; Portuguese - Detector de metais; Russian - Детектор металла; Spanish - Detector de metales; Thai - เครื่องตรวจจับโลหะ.